Every beer lover at some point dreams of opening a brewery, and making their brews a household name. Some even go so far as to brew their own at home, testing and sampling new creations. 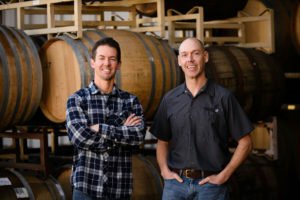 For Jason Carvalho and Kevin Nickell, co-owners of BarrelHouse Brewing Co. in Paso Robles, California, that dream became a reality in short order, as they turned what started as home brewing in Carvalho’s garage into a local favorite with a dedicated following. Jumping off from its great success with its taprooms, BarrelHouse started selling their brews in retail outlets in 2012. In those early days they self-distributed their product. “We were very, very local on the Central Coast until we brought on our first distributor, and they took us from being hyper local to further down the state to Northern L.A.,” says Chris Vaughn, Marketing Director for BarrelHouse. One distributor led to a second, who stretched BarrelHouse’s reach to central California, and it’s been growing upward and outward ever since. Over time they were able to set up distribution with five different distributor partners and landed their products in stores of larger chain accounts like Costco and Whole Foods Market. When Billy Thompson joined the team as sales manager in March 2016, he continued to grow and foster relationships between the brewery and distributors and added their 6th distributor — establishing their presence in the Bay Area and taking BarrelHouse to the next level. While BarrelHouse has had success getting their product onto store shelves, they knew their next strategic move had to be getting into a bigger clutch of stores within a retail chain, rather than the odd store here or there around the region. Besides tasty brews, BarrelHouse knew they had a unique quality that set them apart from other brewers and would make them appealing to retailers. “We can change direction and do things that the market is calling for without having to go through board members or talk to investors, which would hold up the process,” co-owner Jason Carvalho says. This makes them agile and better able to tap into trends, meeting consumer demands almost instantly. 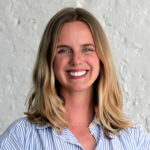 That aspect was part of what caught the eye of a buyer from Target, who reached out to BarrelHouse less than two weeks after they joined RangeMe. Through the contact and subsequent relationship with this category buyer, BarrelHouse was able to secure a vendor number—no small feat due to its rigorous process, and a key piece toward furthering their presence in Target’s stores. Having the vendor number, meant they could approach conversations with retailers differently, and more easily. Getting their product onto more big box retailer shelves is a promising prospect, and BarrelHouse is preparing for this big opportunity. They know that continuing the success they’ve had translating the taproom experience to a retail product will be a lot of work, but they’re ready and willing to take on that challenge.